Made from a smooth tear-resistant paper, our kid's wristbands provide safety solutions for children on holidays or away on school trips. The bands have a space for writing contact details in case a child becomes lost as well as any medical conditions or allergies that the child may have. Children's wristband is perfect for identifying kids at events, on holiday, days out and on school trips. There is a choice of single-use safety bracelets and reusable ID wristbands, all in child sizes. Child Identity bands all come with space for writing parent or careers contact details. The bands helps you to find your kids if your kids get lost or get separated. 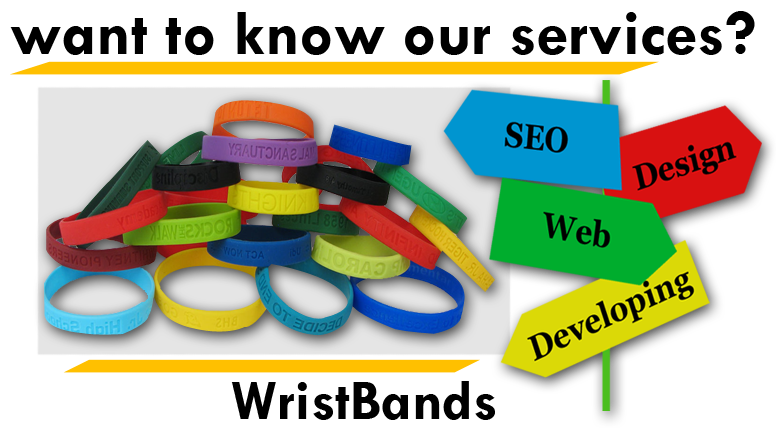 kids wristbands are a creative way to create teams in school, on field trips or activity days. The size of the kids wristbands are suited for children from kindergarden through 5th grade. Child safety wristbands are an ideal choice for temporary identification for types of environments where a child can become separated from their parents or group, like day camps and summer camps. To help ease parents and guarantee the safety of children. There are many varieties of Tyvek and plastic wristbands that are non-transferable, durable, and highly visible. Kids wristband made from durable, yet cost-effective Tyvek material. Several varieties of our kid's wristbands can be written on with permanent marker to help identify and keep track of children easily and effectively, and even have a designated area to write a guardian's name and emergency information in case a child gets separated from the rest of their group. 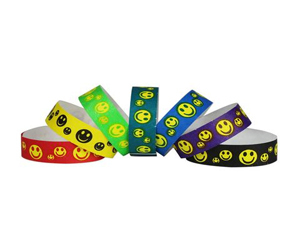 Children's wristbands are ideal for camps, school trips, YMCAs, fairs, and church retreats. You can utilize different color or pattern wristbands – such as red, yellow, and green – to categorize children in different groups or with different needs. Liquid Glitter® Holographic Plastic Wristbands 3/4"
SecurBand® Jr. Tyvek Wristbands 3/4"
Children's wristbands are perfect for identifying kids at events, on holiday, days out and on school trips. Child Identity bands all come with space for writing parent or careers contact details. You can also note a child's allergies or any medical conditions. Each kid ID wristband can be reused several times. Kids wristbands are durable and comfortable. Wristbands present it completely on a modern style or shining bright in different colors. These days, Silicone Wristbands are the most modern fashion among children. Usable both in wet and dry surrounding. Available in printed and plain model. Composed of Soft Vinyl Tri-Laminate. Thin and clear visibly attractive designs.